I have spent — essentially — a boatload of money on pet beds. It makes sense, after all, since I have so many pets. Yeah, I’m clearly asking too much. 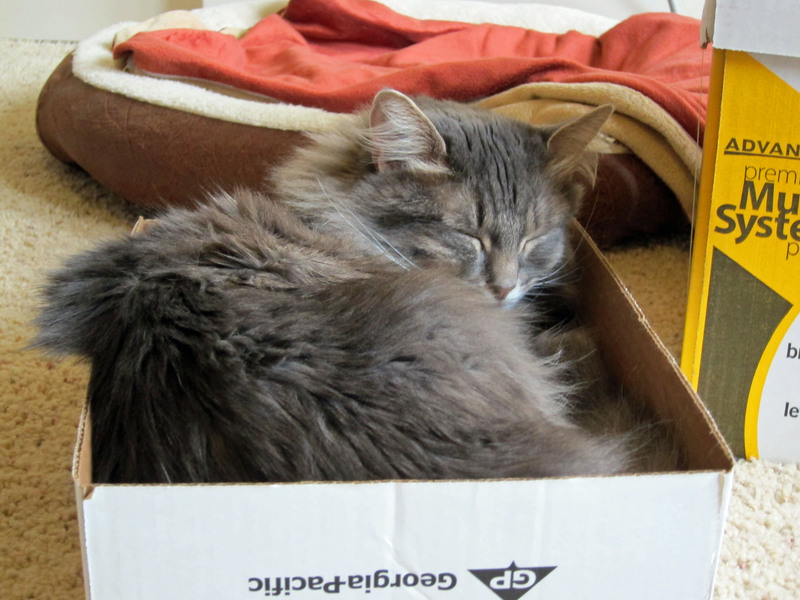 Especially when they can sleep in a box top, instead. Thank you for reminding me of that, Zoey. What’s that behind her? 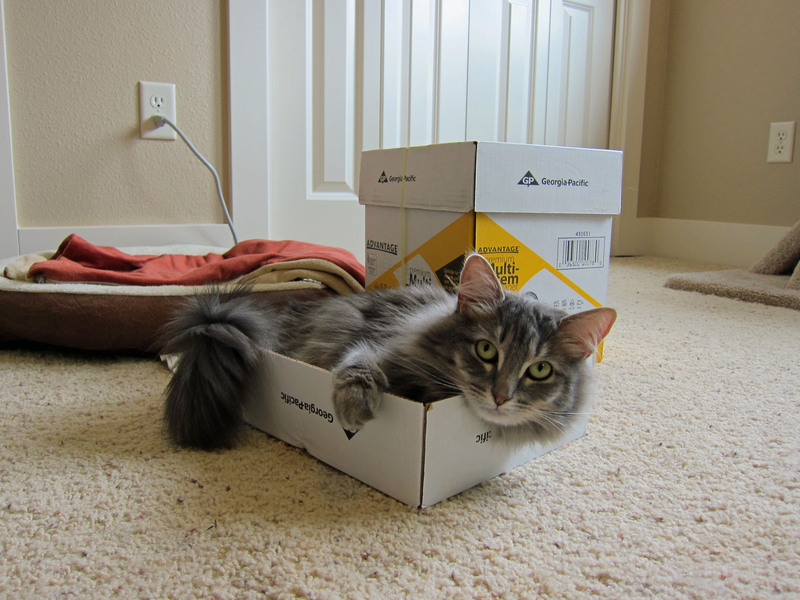 Oh yeah, that would be one of the nice and comfy and expensive pet beds that I bought for the crew. It’s been used all of a half-dozen times. Of course, when she’s this comfortable, I guess I can’t really complain, right? Really, all I can do is stop buying more pet beds. 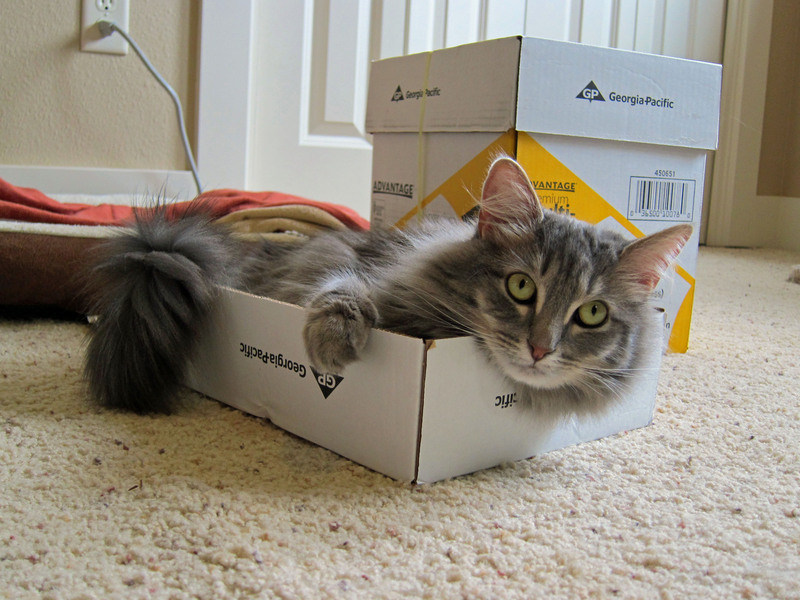 Boxes should be sufficient from now on … (how long do you think that’ll last? ).